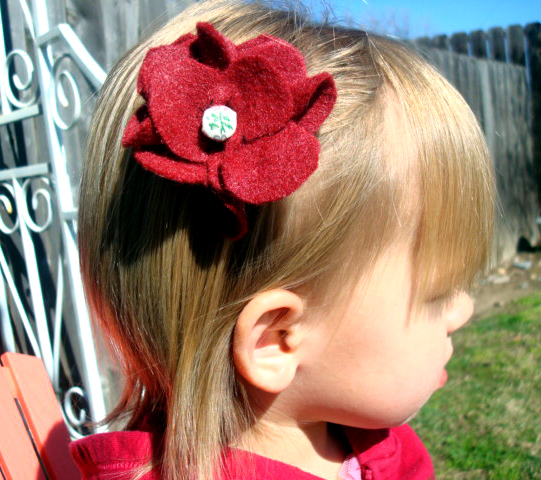 Awhile back, I posted some tutorials on how to make felt flowers and I just wanted to share four maroon colored hair clips I finally finished. 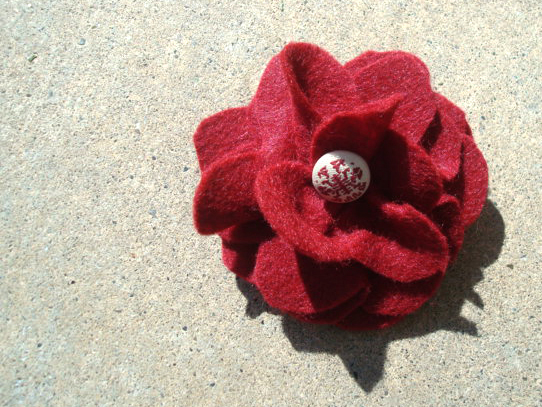 It turns out felt flowers are pretty fun and relatively simple to make! I will definitely be making more of these this spring as I anticipate the arrival of my second baby girl! 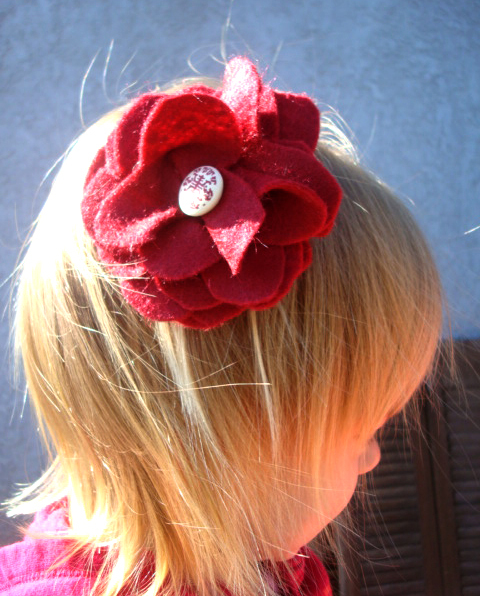 As I have found out with Gemma, a girl can never have too many adorable hair clippies. To make these clippies extra special, I decided to add some unique, vintage-style buttons in the middle. 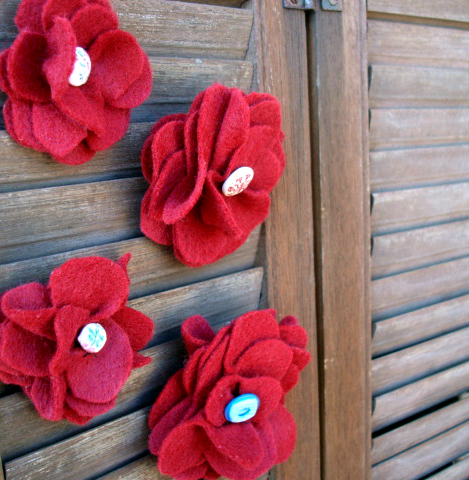 For some tutorials and inspiration please check out this post on felt flowers. Don’t be afraid, all you need is felt, scissors, a glue gun and a metal clip to mount your flower on!